I found St. Mary’s open. 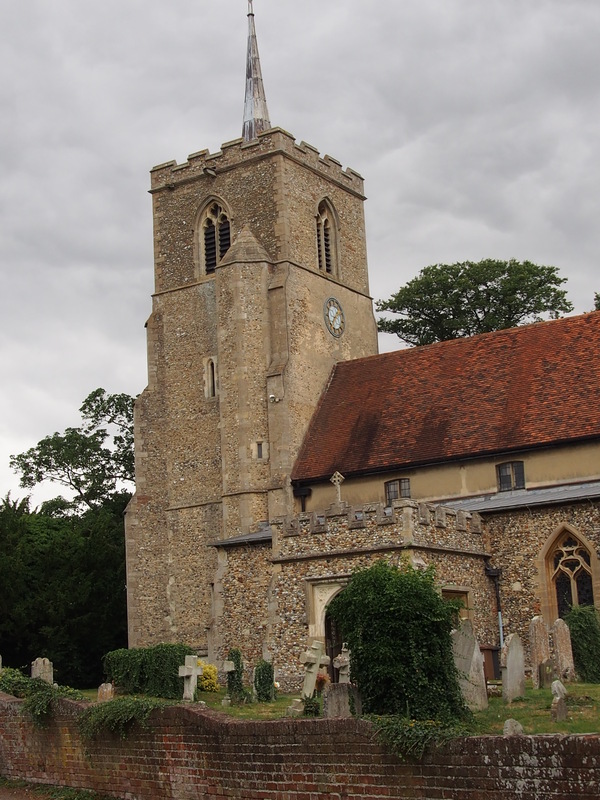 It is another church with the Hertfordshire ‘spike’ on it – a spirelet really but characteristic of this area. What is most interesting about St. Mary’s is inside. 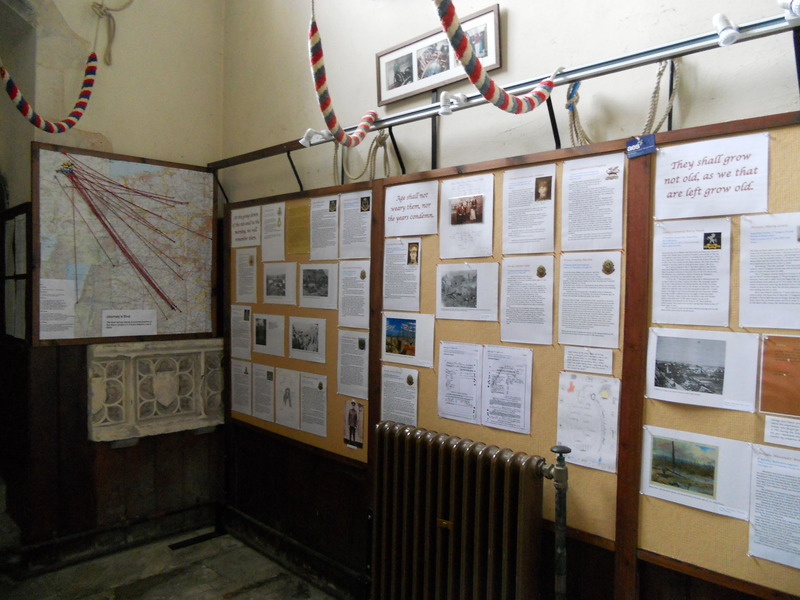 There is a walk around guide and some notelets for sale as well as a history booklet. These are all common but here, under the tower, is a good display about the First World War. It gives a lot of detail about some of the local people who fought, and died, in that conflict. It also puts it into context. A lot of work has gone into this. 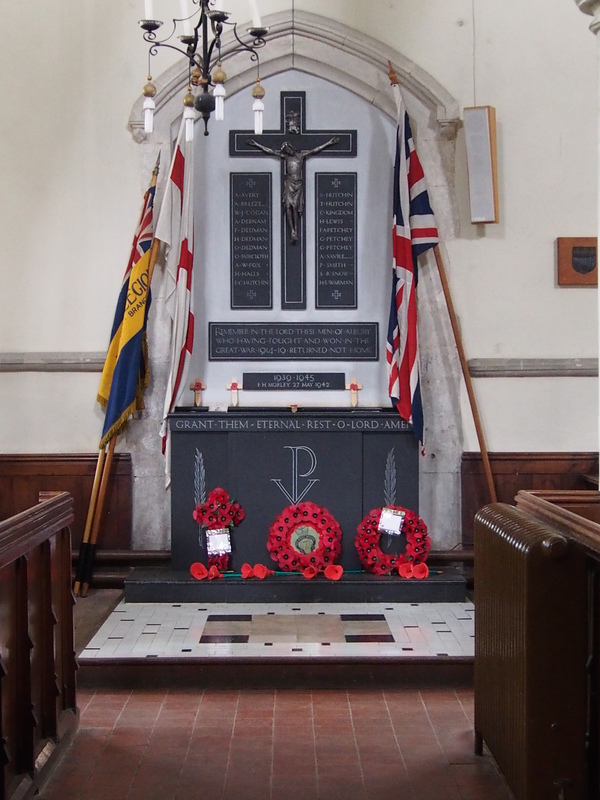 There is a rather odd war memorial here which is designed like an altar. I haven’t seen anything quite like this before. There is also a prayer board and a sand tray to light candles. 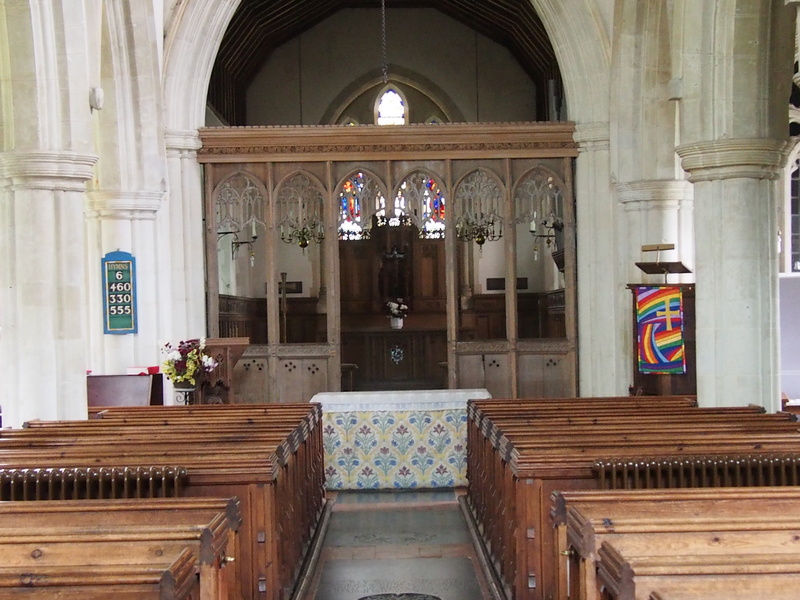 ‘Saints and Pilgrims’ also appears too. 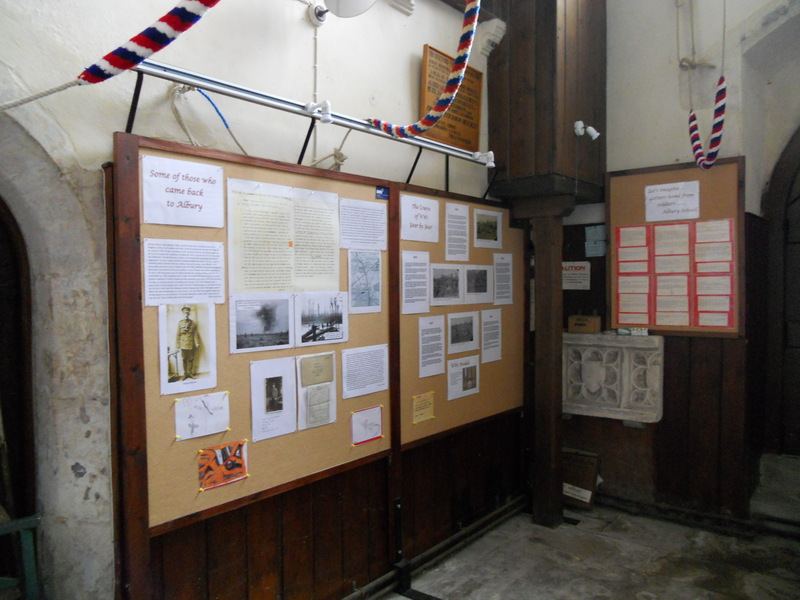 The website – http://www.standrewsmuchhadham.org.uk/index.php/st-mary-the-virgin-albury doesn’t mention the WW1 display nor give visitor information which is a shame.